When men connect in life-changing ways, a powerful ripple effect touches families, workplaces, and the church. 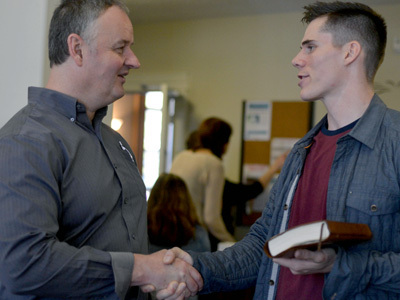 Deeper connections with God and other men inspire participants to connect more meaningfully in all facets of their lives. They climb beyond the walls of isolation and aspire to a biblical viewpoint marked by integrity, boldness, and compassion. Men’s groups meet weekly and monthly to discuss relevant issues, to build lasting friendships, to be in a safe place where they can share their lives with one another, and to encourage one another to be good and godly men in their homes and community. Other events like retreats, conferences, training seminars, and breakfast meetings are organized regularly.